SAN CARLOS, Calif. -- San Mateo County officials Saturday morning are reporting a mountain lion was spotted walking in the side yard of a residence in San Carlos. The animal was caught on security camera around 1:05 a.m.
Officials said the mountain lion was not aggressive and did not appear injured. The animal was seen in the area of Club and Beverly drives. Since the sighting, there have been no other calls reporting mountain lion sightings in the area, officials said. 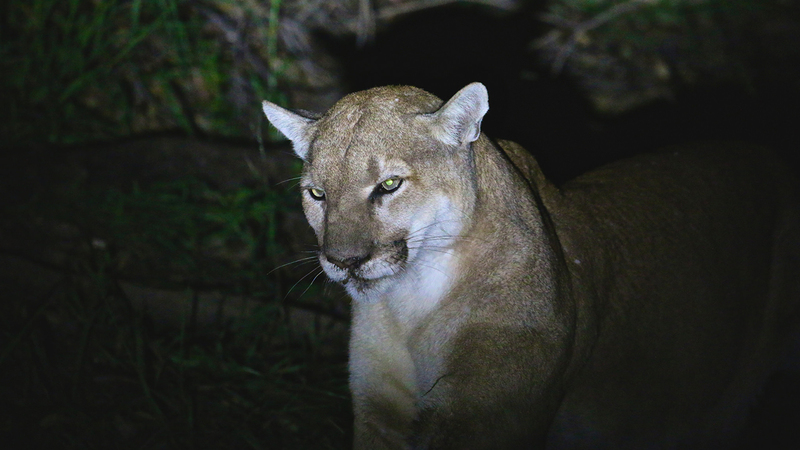 Click here for more stories, pictures and videos on mountain lions.